Heart of Darkness – THE REVIEWS ARE IN! The reviews are in after a successful weekend of Heart of Darkness! Read some snippets below and see a few pictures from the production by photographer Steve Di Bartolomeo. “The African river that winds its way through the center of Joseph Conrad’s novella “Heart of Darkness” plunges the narrator, Marlow, ever deeper into the shadowy world of colonialist tyranny and madness. 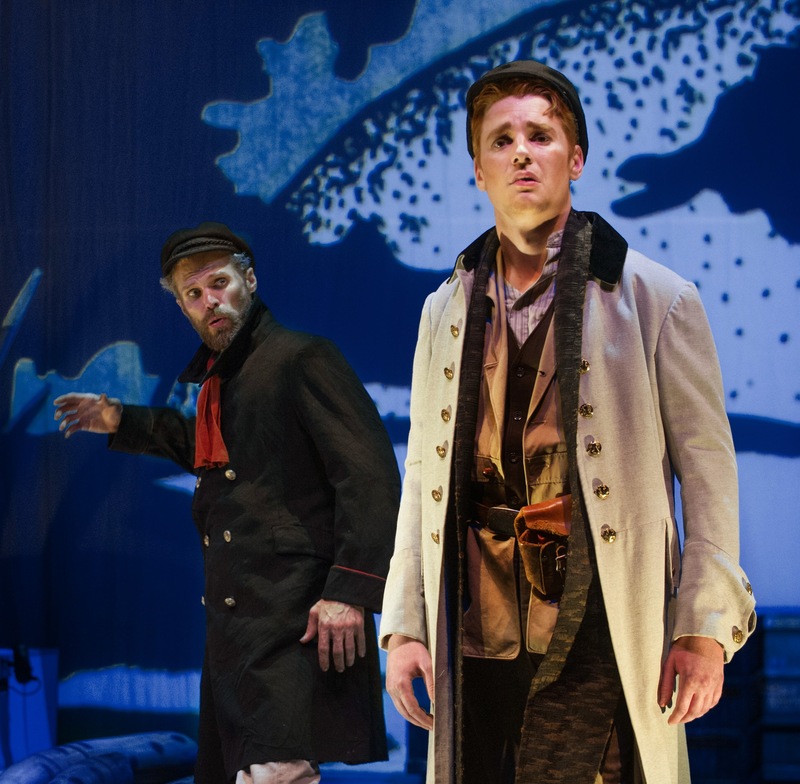 In the evocative new operatic version by British composer Tarik O’Regan and librettist Tom Phillips — which got a powerful U.S. premiere over the weekend from the ever-valiant Opera Parallèle — the audience takes a similar plunge. “Joseph Conrad’s novella Heart of Darkness, a tale of colonialism, plunder, and madness in the Belgian Congo, is every bit as relevant now as on its publication date in 1899. While we’re well past the heyday of European colonialism, we continue to live with its consequence worldwide. 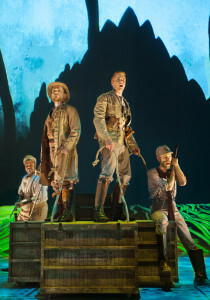 All things considered, it’s something of a surprise that Tarik O’Regan’s opera Heart of Darkness took four years to reach the United States after its 2011 premiere at the Royal Opera’s Linbury Studio Theatre. Its brevity and eloquence, as well as the small forces it requires, make it a natural for adventurous opera companies everywhere. “Tarik O’Regan’s one-act chamber opera, The Heart of Darkness, had its American première this past weekend under the literal and figurative batons of Opera Parallèle. The literal baton is that of Conductor and Artistic Director Nicole Paiement, and the figurative one that of Creative and Stage Director Brian Staufenbiel, both founders and the driving visionary forces behind the company.